According to a release by the Centers for Disease Control, an outbreak of norovirus has hit Princess Cruises' Crown Princess, which just wrapped a 28-day cruise from Los Angeles to Hawaii and Tahiti and back. The statement said that 158 of 3,009 passengers on board had contracted the virus, along with 14 of 1,160 crew members. The vessel docked in Los Angeles on Sunday. 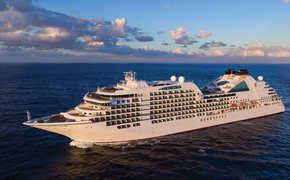 In response, the crew of the Crown Princess will increase cleaning and disinfection procedures and advise passengers on proper reporting and hand hygiene. Stool specimens from infected passengers and crew will be sent to the CDC for further testing. In an email to CNN, Princess Cruises spokeswoman Susan Lomax wrote, "Over the last few days, the ship began seeing an increased number of gastrointestinal illnesses, caused by norovirus (commonly referred to as the stomach flu. In response, we have enacted our stringent disinfecting protocols developed in conjunction with the U.S. Centers for Disease Control (CDC), which includes an extensive deep cleaning of the ship and the terminal in Los Angeles on Sunday before the ship embarks on its next voyage." 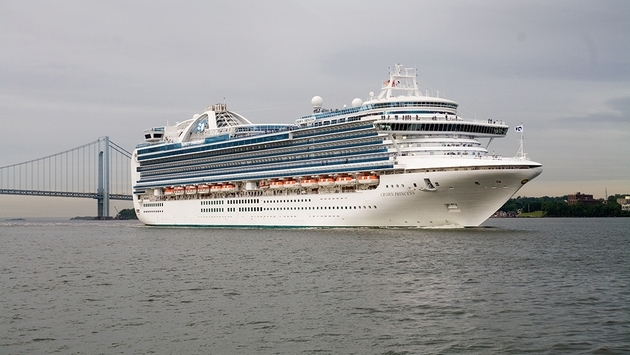 This is the second issue the vessel has faced this year, as 122 passengers and 30 crew fell ill from norovirus on an April sailing aboard Crown Princess. A voyage on the ship in February 2012 was cut short due to an outbreak.